The Sahal’s and others are part of a program run through the Absorption of Israel Communities Foundation, an organization which works to bring French Jews to Israel through group immigration, knowing that it will calm any reservations they might possibly possess about making such an extreme and possibly ill-advised step. As many manipulators throughout the ages have clearly understood, a group mentality is oftentimes a convenient blinding device. According to Ynet News, the Absorption of Israel Communities Foundation has been working with the Samaria Regional Council and, not surprisingly, it is to this area which the largest group of French olim will move to in the coming year. The happiest of crazies indeed. This common refrain, that “every place has terror so we might as well be in our own land”, ignores several crucial details. However, the starkest omission is that, although it is a painful fact of life that terror does indeed exist in what seems to be all corners of the globe, if one was given a choice between an upscale neighborhood which had the occasional violent break-in or assault and an area where such occurrences happened almost every single day and possibly several times a day, then one wouldn’t be hard pressed to guess which neighborhood most people would choose. If someone was told that they can live in either Beverly Hills or South Central Los Angeles, the choice is clear. Unfortunately, Samaria oftentimes makes South Central look like Beverly Hills. Some wonder at the decision to move to a locale that, according to Dr. Yahal Sahal, “…doesn’t even have a convenience store.” Ynet News reporter Yifat Erlich asked if moving to a trailer on a barren mountain, without even as much as a convenience store close by, was perhaps too extreme a change from a Paris suburb. Thankfully, Yossi Dagan, head of the Samaria Regional Council, jumped in to save the day, “‘You're doing damage. Why did I bother bringing this settler to Paris, so she could ruin everything I've been working on for months?’” This produced a round a raucous laughter and was enough to allay the fears of those present. And, as if Mr. Dagan wasn’t being generous enough by bringing these 12 families to one of the world’s most dangerous locales, he also shared that a stipulation for the French families moving to Brukhin was that a convenience store would be fully operational by the time they arrived. Stephane Zaafran, a French IT specialist and another member of the group moving to Samaria with his wife and two small children, said that, “Most of the couples who chose Brukhin thought at first that they would live in Netanya, Ashdod, and other known places. But when you come to Brukhin and you see the settlement and the familiarity between people—you realize that this would be the best place and the most fun place for children. Whenever there was some rioting in Paris, we got worried phone calls from Israel—because to the outside observer, it appeared as if the entire city was burning. That's how the French see the Samaria region—as if there are only Arabs there, and there are shootings all day. The truth is the same can be said about many Israelis, who don't know the Samaria region and are afraid to cross the Green Line.” Regrettably, Mr. Zaafran’s notion of Samaria being at least “relatively” safe isn’t borne out by the facts on the ground. 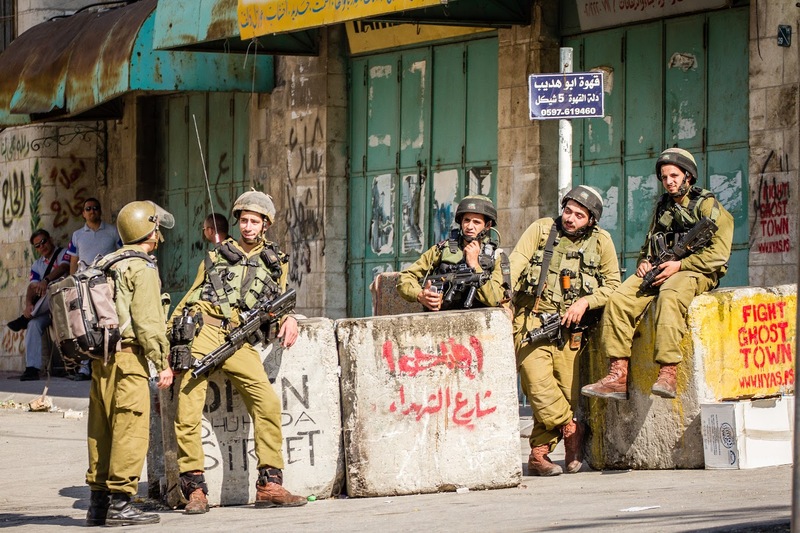 According to Israel’s Ministry of Foreign Affairs, the overwhelming majority of violent attacks that take place occur in the West Bank, which includes Samaria. Of the 527 wounded and 40 dead in 2016 alone, the lion’s share of these incidences occurred in Judea and Samaria. It’s more than a little frightening when “the most fun place for children” is declared “the most dangerous place for anyone” by your adoptive government. If you were to be concerned that such statistics might trouble Yossi Dagan and cause him to rethink his vision of “…a million people living in Samaria”, you needn’t worry. His dedication is that of someone who has been thoroughly indoctrinated/envenomed with the Zionist vision. "This project was started by (previous council head) Gershon Mesika and has become my baby," Dagan says. "I travel to France along with a team from the council that would later accompany the new immigrants, to convince them to come to the Samaria. I'm not afraid to talk to them about pioneering and Zionism. It's what they're looking for.” Romanticism not withstanding, Yossi Dagan fails to grasp that pioneering is an occupation more akin to civilian soldier than the leisurely life of a retiree gardener that he paints for these urbane Europeans. However, Dagan is a diehard Zionist, one who will not allow let small inconveniences such as reality stand in his way. "I realized the settlement enterprise's biggest enemy is ignorance, which is why it's important to me to bring people from Israel and from all over the world —of all types and kinds—to visit Samaria. I also realized that what is important is having a mass of people. Ariel and Yitzhar are located at the same distance east of the Green Line. There's no dispute about Ariel anymore, while there is one about Yitzhar," he continues. His dream of showing off the beauty of Samaria seems benign enough till we consider that Yitzhar, a infamous settlement located under his organization’s jurisdiction, has one of the most violent track records of any of the West Bank settlements, egged on by Ultra-Zionist rabbis such as Yitzchak Ginsburg and Yitzchak Shapiro. Yitzhar has a not unearned reputation as a hotbed of extremist violence, stirring up havoc between themselves and the surrounding Palestinian population on a consistent basis. For someone who typically sounds more like an official of the Bureau of Tourism than a tireless settlement activist, Dagan’s interest in communities like Yitzhar receiving a official recognition is particularly worrisome. Here is an organization which is lobbying for acceptance of a settlement which is one of the most volatile in the entire region. Though he says he’s spoken with the new olim about “pioneering and Zionism” the reality of their being recruited alongside the battle hardened inhabitants of places like Yitzhar and others in an unofficial war for the State of “Israel” doesn’t seem have sunk in yet. The truth seems to be staring us all, including the Samaria Regional Council and their partners in crime the Absorption of Israel Communities Foundation, squarely in the face. That aside from showing potential French emigres the scenic view, very little if any information has been given to them concerning the facts on the ground when it comes to day to day living. The rammings, stabbings, rock-throwing and arson that are daily occurrences in the territories. The evidence is so clear that is makes one wonder what could have enticed these successful professionals to take such a drastic step. But PR is a subtle art form which the Zionist Government has been honing for decades. Even Kabul could be made to look inviting with the right camera angle and Photoshop. Sadly, the Samaria Regional Council and by extension the Israeli Government seem to experts in photo ops and airbrushing. It’s too bad that this PR stunt plays with people’s lives…literally.